Bundesliga | Who is Bayern Munich debutant Lukas Mai? 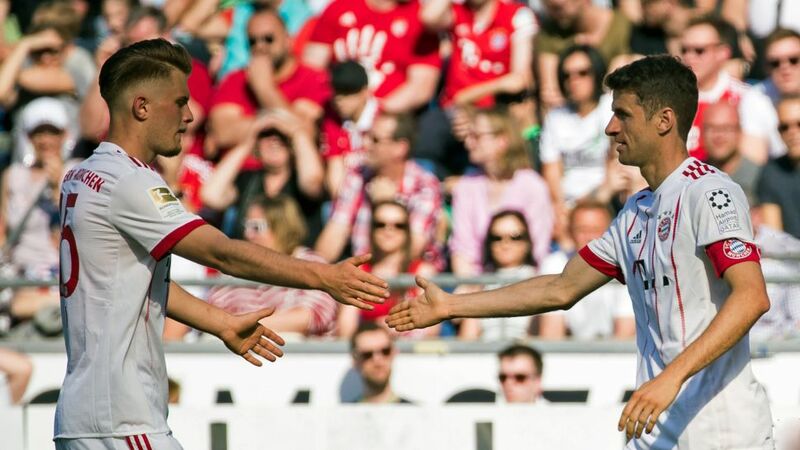 Who is Bayern Munich debutant Lukas Mai? Scanning Bayern Munich’s teamsheet for the game against Hannover on Matchday 31, perhaps James Rodriguez getting the nod was a surprise, especially in light of the Bavarians’ impending UEFA Champions League semi-final first leg against Real Madrid. Bayern have handed Mai his Bundesliga debut at the tender age of 18 years and 22 days old. Born on 31 March 2000 – the same day, though 61 years later than former West Germany and AC Milan legend Karl-Heinz Schnellinger – Mai becomes the first player born in the 21st century to run out for the Bavarians. David Alaba and Toni Kroos are among the few players to have made their Bayern debuts at a younger age. Still baby-faced, Mai nonetheless cuts an imposing figure at a little over 6’2” tall. Perhaps unsurprisingly, then, his favourite position is at centre-back. However, like Schnellinger before him, Mai is equally comfortable playing at full-back and even defensive midfield, and even chipped in with a goal in the 2-1 win over Wehen Wiesbaden’s U19s in November. Stopping goals is very much his preference, though. Mai looked assured against Hannover, playing 90 minutes as Bayern kept a clean sheet. Watch: Süle describes Mai as "so talented!"